With the first Wood Stove Decathlon only a couple months away, we are doing a weekly blog post to showcase the Decathlon competitors. Take this opportunity to learn more about the design teams and their stove’s innovative features. The Cape Cod is a powerhouse stove, weighing in at almost 600 pounds with a 3 cubic foot firebox. The Cape Cod has been officially certified by the EPA as a clean-burning large freestanding wood stove. Running at over 80% efficiency and with only .45 grams of emissions per hour, the Cape Cod produces an incredibly clean burn. This clean burn comes from the combination of Lopi’s advanced secondary combustion system along with catalytic assist to create the unique Hybrid-Fyre™ technology that makes this stove run so efficiently. President of Travis Industries, Kurt Rumens, along with Cape Cod designer, Alan Atemboski, created the Cape Cod with the mindset to develop the future of wood stoves. With the industry always progressing, they wanted to set Travis Industries apart with a product that would create a new standard in wood stove design, something that had not been done before. They figured out a balance between the secondary combustion and catalytic systems so that when combined, it created the best of both technologies. The hybrid of emissions produces the cleanest burn, giving it the name Hybrid-Fyre™. With over two years of extensive research and practice, they developed the clean-burning large freestanding wood stove registered by the EPA, and in December of 2012 the Lopi Cape Cod was born. The Cape Cod comes with several quality features, but one that makes it more efficient is the GreenStart igniter system. This new system allows the Cape Cod to be started in seconds with the push of a button. So far, the Cape Cod has been a success with its extreme efficiency, powerful heat output and sleek cast iron design. It has been named the winner of three prestigious Vesta Awards, including Best New Wood Stove, Best of Show- Hearth Product, and the Green Award. From modest beginning of its first wood stove built in 1979, Travis Industries is now the largest privately-owned wood, pellet and gas stove, insert and fireplace company in America, producing high-quality American-made products. We are looking forward to seeing the Cape Cod in action at the Wood Stove Decathlon November 16-19, 2013. Vote for your favorite stove at Popular Mechanics. 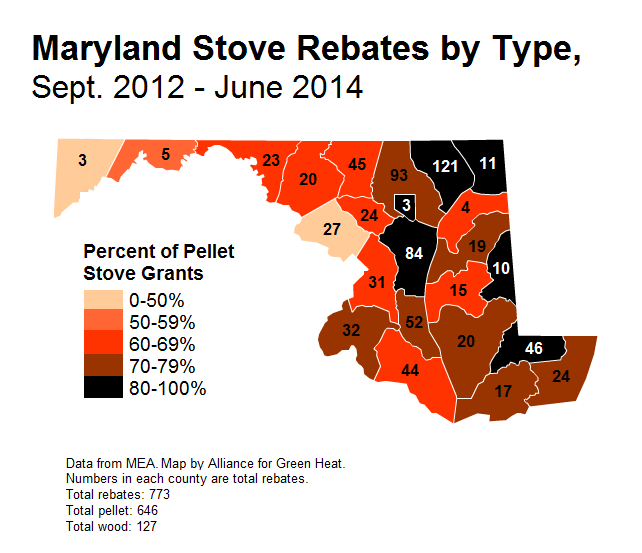 The Maryland Energy Administration (MEA) announced that it extended the rebate program for wood and pellet stoves indefinitely, and raised the rebates amounts to $500 for wood stoves and $700 for pellet stoves. 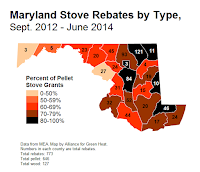 Initial data from the program showed that Marylanders used the rebates for pellet stoves twice as often Pellet stoves are usually used as a primary or sole heat source of an average sized home, and typically save consumers $400 to $800 each year in heating costs. as for wood stoves, defying national trends. The program provides rebates to Marylanders who heat their home with oil, propane or electricity, which accounts for about half the state’s population and almost all of the rural population. Homes that heat with natural gas, usually in urban and suburban areas, are not eligible. 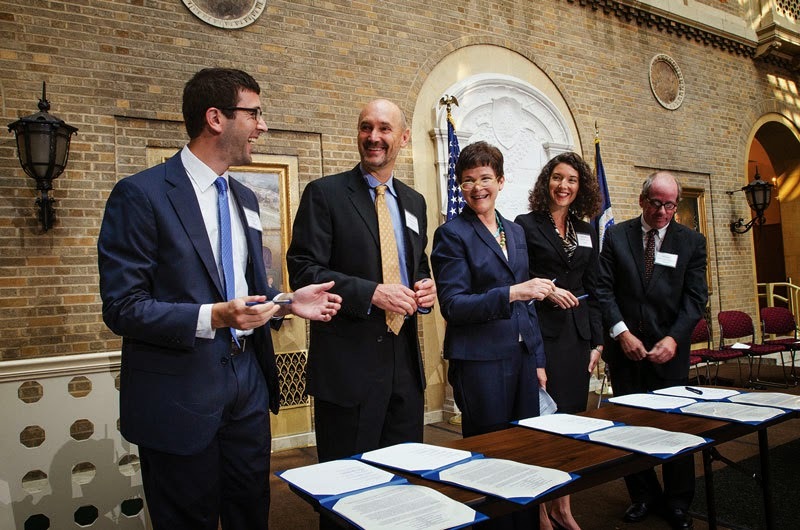 “We want to thank the Director of the MEA, Abby Hopper and her staff for helping rural Marylanders use an affordable renewable energy and keep their energy dollars local,” said John Ackerly, President of the Alliance for Green Heat. In a press release from the MEA on Sept. 16, 2013, MEA said, "Third party analysis of the program found that the most grants on a per capita basis have gone to rural counties that have been hit hardest by the economic recession. 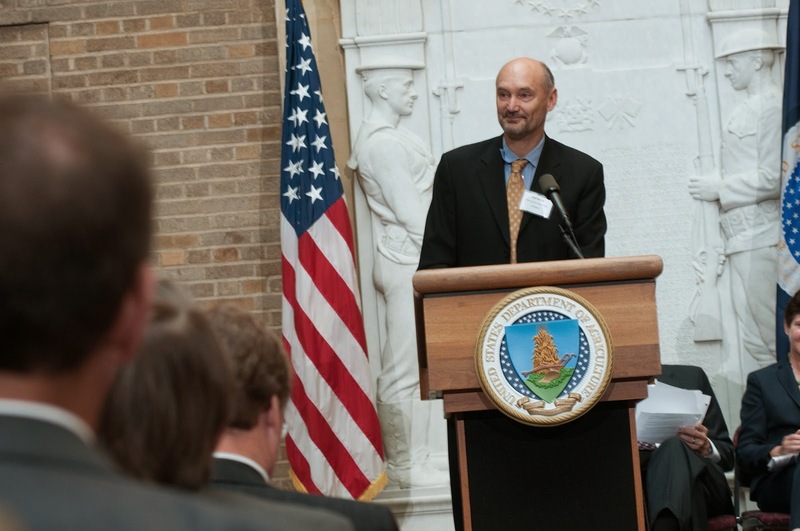 This grant further improves the already impressive economics of wood stove systems and provides incentives for the cleanest stoves on the market." The average cost for buying and installing a stove in Maryland is about $4,000. Although, according to MEA data, some project costs were under $3,000. For an average $4,000 project, the wood stove rebate of $500 covers 12% of the costs and the $700 rebate for a pellet stove covers 17% of the cost. A $300 federal tax credit that ends on December 31 of 2013 provides an additional incentive this year. Extending the program indefinitely gives the wood and pellet stove grant program parity with the residential solar and geothermal programs. Advocates, including the Alliance for Green Heat, had argued that ordinary rural Marylanders were being left out of a program that was mainly benefiting wealthy urban and suburban families. Eligible stoves must meet emissions requirements than are significantly stricter than the EPA’s. Homeowners are not required to turn in an existing, uncertified stove. However, about half the families that had older, uncertified stoves recycled them, according to data collected by MEA. The push to add wood and pellet stoves in Maryland’s residential renewable energy grant program was championed by Delegate Heather Mizeur of District 20 and a host of other Delegates. The Alliance for Green Heat organized a coalition of environmental and renewable energy groups and small businesses. The MEA voluntarily began the funding using existing resources in September 2012. For information about how to apply for the rebate, click here. With the first Wood Stove Decathlon only a few months away, we are doing a weekly blog post to showcase the Decathlon competitors. Take this opportunity to learn more about the design teams and their stove’s innovative features. Walker Stoves is introducing their model to the Wood Stove Decathlon, highlighting the stove’s versatility and safety. The final design is the product of Matt Remine with internal design finalization credit going to Peter van den Berg. Remine is a designer, builder, and tinkerer living in the Pacific North West of the United States. A lifelong wood burner with a curious mind, he has been designing and refining wood burning devices since childhood. The stove can be installed either as a free standing stove or it can be incorporated as part of a masonry stove installation. This versatility means that no matter the home aesthetics of the owner, the Walker Stove can satisfy those wishes. The key innovation of the Walker stove is the unique way in which it blends a cord wood fire box, viewing window, air control, secondary air injection, and rocket stove style differential engine together in a familiar metal surround wood stove. The differential engine uses the motive force provided by the rising hot gasses in the internal chimney and the falling, cooling gases in the enclosure to allow the stove to drive a thermal mass battery system. The majority of the heat energy contained in the fuel can be retained inside the building’s envelope. Walker Stoves has developed this product as a modular system, with the intention of making the core available to masons as an affordable masonry stove core. We are looking forward to seeing Walker Stoves in action at the Wood Stove Decathlon November 16-19, 2013. Vote for your favorite stove at Popular Mechanics. With the first Wood Stove Decathlon only a few months away, we are doing a weekly blog post to showcase the Decathlon competitors. Take this opportunity to learn more about the teams and their stove’s innovative features. Jason Stewart is bringing a stove to the Decathlon with a new feature that he thinks can help clean up thousands of older stoves. The IntensiFire is a down draft insert that can be retrofitted to nearly any wood stove. The down draft redirects unburned gases back into the hot coal bed, to reignite and save heat. This also makes more efficient use of the fuel. And, a more complete combustion of the smoke also helps to reduce emissions by burning smoke particulates that otherwise would have been released into the atmosphere. The insert is much cheaper to manufacture and to install compared to the price of a complete wood stove. Its versatility to be retrofitted to multiple styles of wood stoves makes the Intensifire a viable option in many situations. Stewart found himself in such a situation with an old wood stove that supposedly was to heat his rental home. The old clunker smoked badly, with wasted heat rising up the flue. The landlord wouldn’t replace it and Stewart was not allowed to make any major modifications. With some tinkering, Stewart simply extended the flue into the firebox to create a down draft. It worked so well, Stewart was able to increase up to 60% of the old stove’s heat efficiency. The success of his invention surprised perhaps even himself, and Stewart decided to pause his pursuit of an Architecture Degree and start the IntensiFire business. Several models later, Stewart is gearing up for the Decathlon and expanding his market to the United States. This further extends Stewart’s commitment to protecting the environment. In 2009, he sailed around New Zealand as a volunteer on Earthrace, a boat run on biodiesel, to highlight important environmental issues. The next year, he once again boarded Earthrace, renamed Ady Gil, to oppose Japanese whaling. The biggest issue opposing Stewart now is the financial costs to attend the Decathlon. Stewart must ship himself and his IntensiFire from New Zealand to Washington DC. If you are able to help Stewart reach his goals, he can be contacted here. We are looking forward to seeing IntensiFire in action at the Wood Stove Decathlon November 16-19, 2013. Vote for your favorite stove at Popular Mechanics. 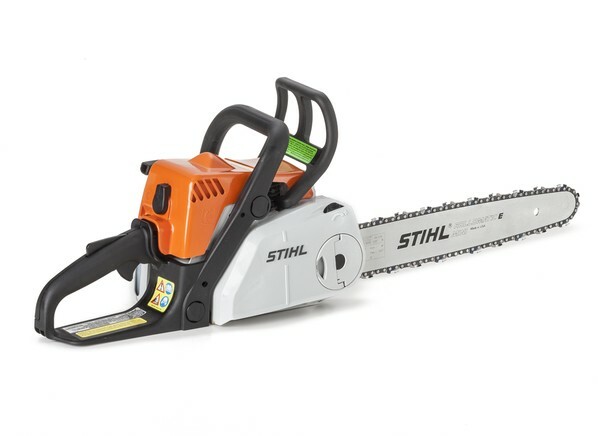 Think it’s hard to decide between industry leaders Stihl and Husqvarna? Well, so does Consumer Reports magazine. But in the October 2013 issue, Stihl edged out Husqvarna on performance and price, garnering a “CR Best Buy”. The Stihl MS 180 C-BE (or the 181 C-BE) got CR’s top rating, and cost only $230. These two top performers both weighed 11 pounds and had 16 inch chains. The Husqvarna 435 440E came in second at $270. Third and fourth place went to Echo, and a Poulan Pro came in 5th at $180. Among the light duty saws, the Craftsman 34190 (made by Poulan Pro) came in top, at $150 and the Homelite UTI0589A second at $160. The light duty saws were no lighter in weight, and sometimes were heavier than the heavy-duty saws. Their chain length was also the same, either 16 or 18 inch. The top ranked corded electric saws performed as well as the light-duty gas saws. The best, the Worx WG303.1 cost only $100 and weighs 11 pounds. It sawed as quickly as some light duty models and spared you the hassle of refueling, pull starting and tune-ups. Now for advice from the Alliance for Green Heat: Even if your wood stove can take an 18 or even a 20 inch log, considering cutting lots into lengths of about 14 to 16 inches, especially if you're planning to burn it in the next few months (less than 6 months). Shorter, split pieces of wood will dry faster, and give you more usable BTUs from each log. And remember, you need to split the wood as soon as possible to really start the drying process. Un-split wood does not dry well and can double the time it takes to season the wood. The EPA's Burn Wise program's Best Burn Practices notes, "Wood burns best when the moisture content is less than 20 percent. You can purchase a wood moisture meter to test the moisture content of your wood before you burn it." With the first Wood Stove Decathlon only a few months away, the Alliance for Green Heat is doing a weekly blog to showcase the Decathlon competitors. Take this opportunity to learn more about the teams and their stove’s innovative features. Rod Zander of New England Hearth and Soapstone, has worked with masonry stoves for decades. He gained experienced in the interior mechanics of masonry stoves through several international apprenticeships. Among the nation’s foremost experts on masonry heat, Zander has taken this knowledge to develop a very unique stove that will compete in the Wood Stove Decathlon. Perhaps aspiring to reach the international marketplace, the competing stove has been named Intercontinental 2B4W. Surely, its innovative features make the stove appealing regardless of which continent you’re on. The stove is an exciting new type of masonry stove that can be created from recycled materials. The recycled materials not only help reduce waste, but save both the manufacturer and consumer money. These readily available materials can easily be assembled with local labor cutting costs even more. It is hoped that these stoves will have a real application in developing countries, where other fuel sources are too expensive and current stoves are too polluting. The form of the stove is composed of two used steel oil drums stacked on top of each other. The symbolism of the oil drums is not lost on the stove designers. The use of an antiquated fuel source’s containers expresses the continual shift towards renewable energy. The heat is stored in high-density firebrick, which then radiates from 12-24 hours from 22 pounds of wood, fired two times a day at a high burn rate. This slow radiating heat follows the design concept of many masonry stoves. With a computer combustion control system from sponsor ClearStak LLC and an oxygen lambda sensor from ETAS, operator error decreases so that the owner uses less wood for more heat. This increase in efficiency helps lower the emissions of smoke particulates. We are looking forward to seeing Intercontinental in action at the Wood Stove Decathlon November 16-19, 2013. Vote for your favorite stove at Popular Mechanics. On August 1st, a coalition of states and a group of several environmental organizations sent separate notices to EPA notifying of their intent to file a lawsuit over the delay in issuing revised New Source Performance Standards (NSPS) for residential wood heaters. Under the Clean Air Act, a “notice of intent” is required 60 days before an individual or group sues EPA. This notice is required in order to give the agency time to respond to the issues raised in the notice, potentially avoiding litigation. Parties that file intent to sue notices are not required to file suit and may decide that it is ultimately not in their best interest to do so. Often, intent to sue notices are used by groups and individuals to prod the EPA to move more quickly in rulemaking and to remind the agency that there are stakeholders concerned about the outcome as well as the timing of a regulation. 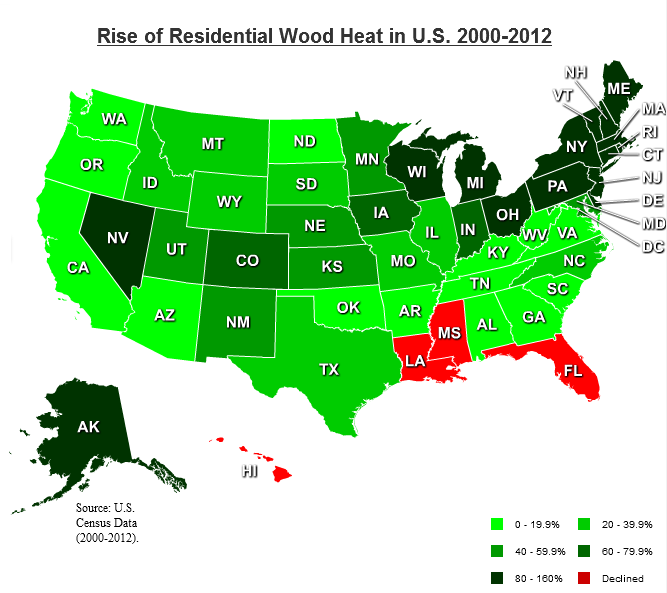 In the case of the wood heater NSPS, EPA is already well underway to issuing a proposed rule. The current draft of the rule has been under review at the Office of Management and Budget (OMB) since July 26th. However, that said, EPA is 17 years late in revising the rule. States and environmental groups concerned about ongoing particulate matter (PM) pollution and high pollution levels from unregulated boilers are concerned that EPA will let the timeline for the proposed rule slip further. The intent to sue notices also highlights the fact that there have been a number of improvements to the technology for controlling emissions that are not captured in the current regulations. It is unclear whether the intent to sue notices will actually lead to litigation. The environmental groups’ petitions were more definitive in stating that they would sue after the 60-day time frame elapses, or on October 1st. Technically, OMB should be finished reviewing the rule by October 26th. However, it is difficult to predict with any certainty how quickly OMB’s review will proceed, and it could be finished prior to October 1st. A lawsuit likely would not be filed once the rule is released unless the state and environmental groups want to get a firm deadline for when the final wood heater NSPS will be issued. If this is the case, lawsuits may still be filed despite a proposal coming out of OMB prior to October 1st.